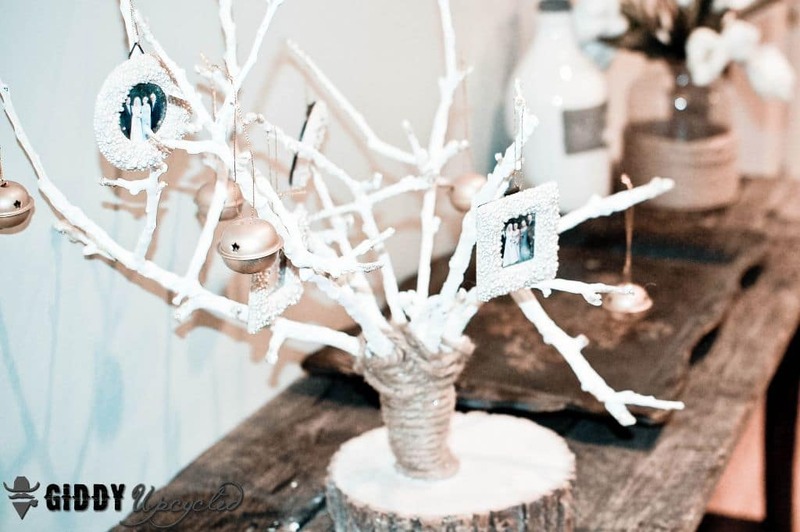 Welcome to day 2 of the 4th Annual Handmade Holidays Blog Hop! A few years ago we were looking online for handmade gift ideas and thought it would be great if there was a resource dedicated JUST to handmade gift ideas. Enter the Handmade Holidays hop! We’ve gathered over 100 of our creative blogger friends in the craft industry as well as some of our fellow product manufacturers to bring you a plethora of inspiring gift ideas you can make now to give to your friends, family, and colleagues. 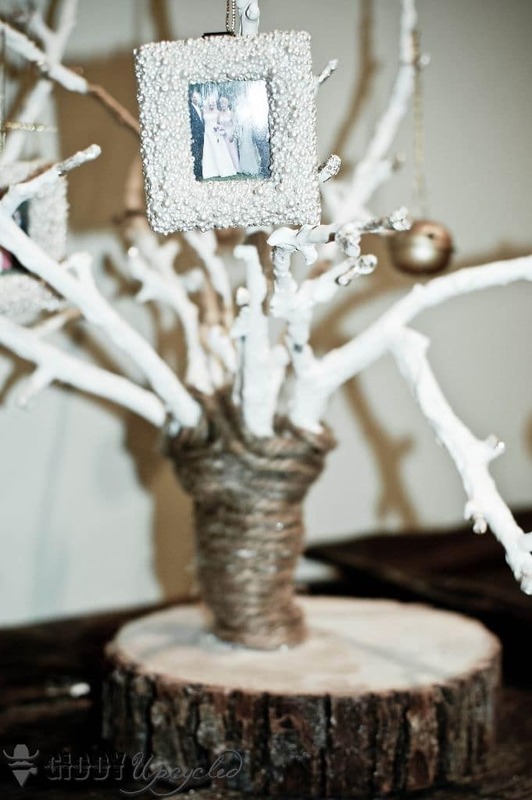 Pin and bookmark these ideas for this holiday season and to use throughout the year! Each day of the hop features approximately 30 gift projects and you can “hop” from one blog to another to check them all out. 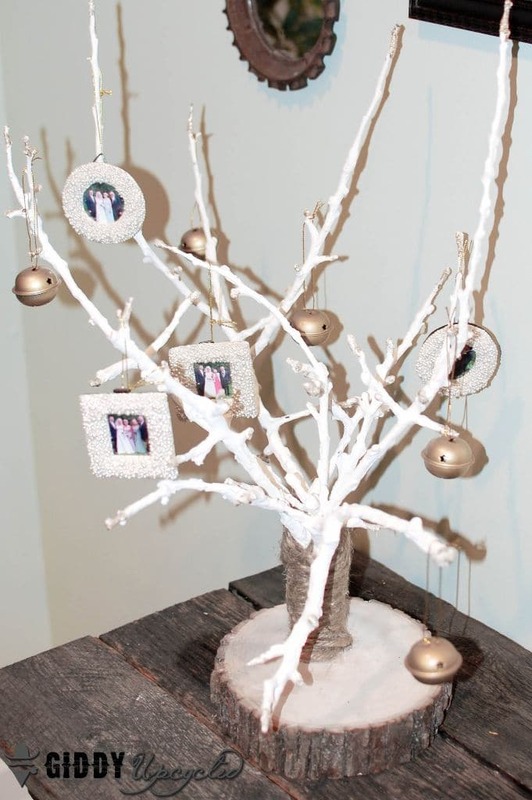 A few years back, my mother found this super cool tree that she puts up at Christmas time – she has ornaments for each member of our family, in the color of each of our birthstones that she hangs on the tree. I love the sentimetnality of it. 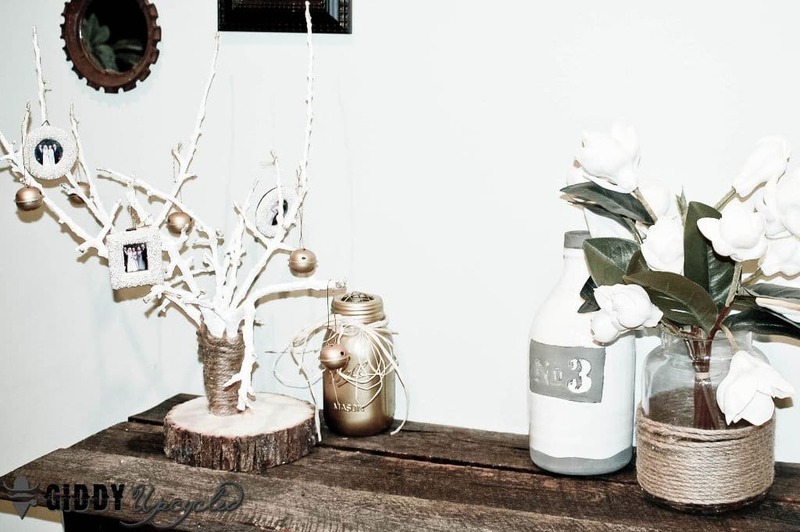 Whats even better about this tree, is that once Christmas is over, she can decorate it with hanging eggs for easter, and small flags for the fourth of July, and with twine for Thanksgiving. 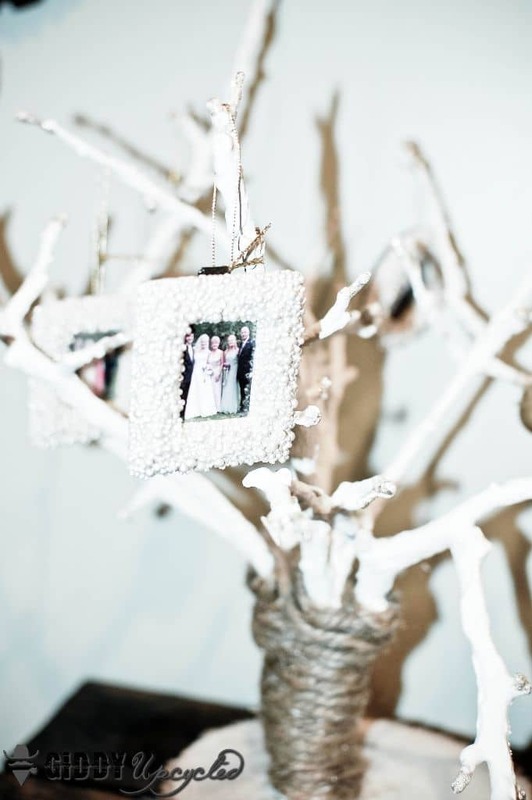 And all the other times of the year, she hangs small silver picture frames on it, as a “Family Tree”. Its got great versatility for everything from Holidays, to birthdays, and then showing off pictures the rest of the year. 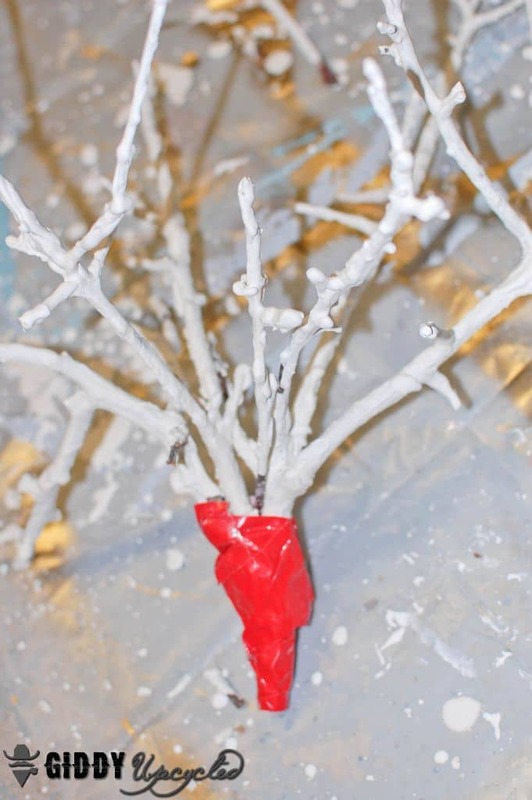 Its a super easy to make, so I put all of the steps together for you below – enjoy and happy gift giving! 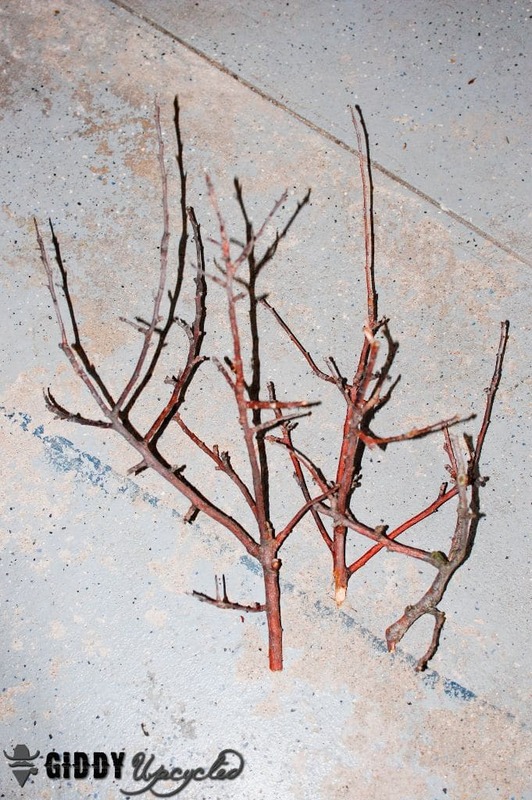 Go in your backyard (or find a park) and grab a couple of small branches with nice full twigs. I picked these up while Apple picking this fall! 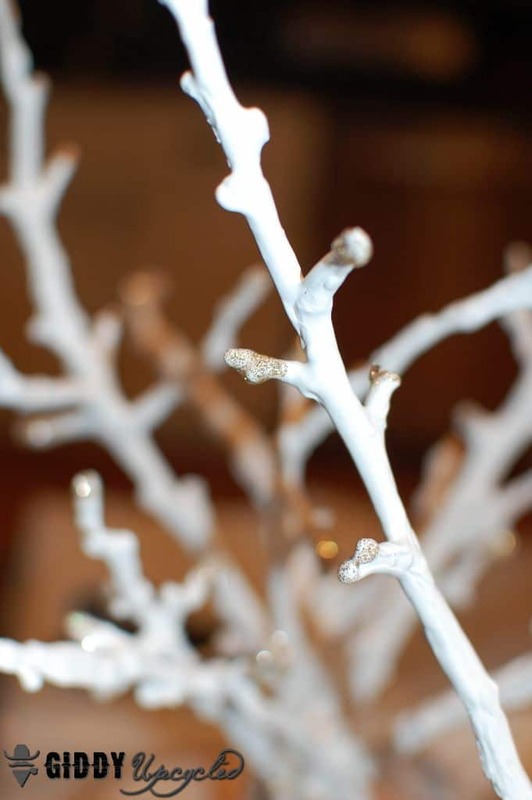 Put the twigs into the oven at 250 for 3-4 minutes – to kill off anything that might be living in or on the branches. 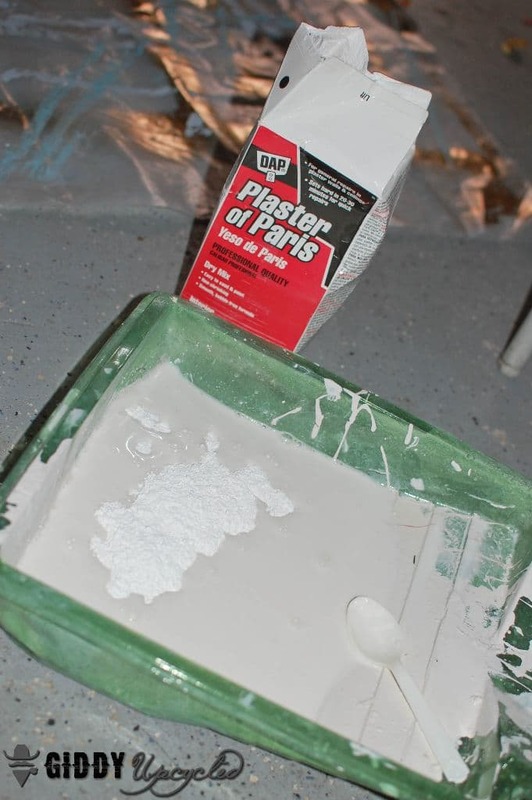 Mix a batch of Plaster of Paris. 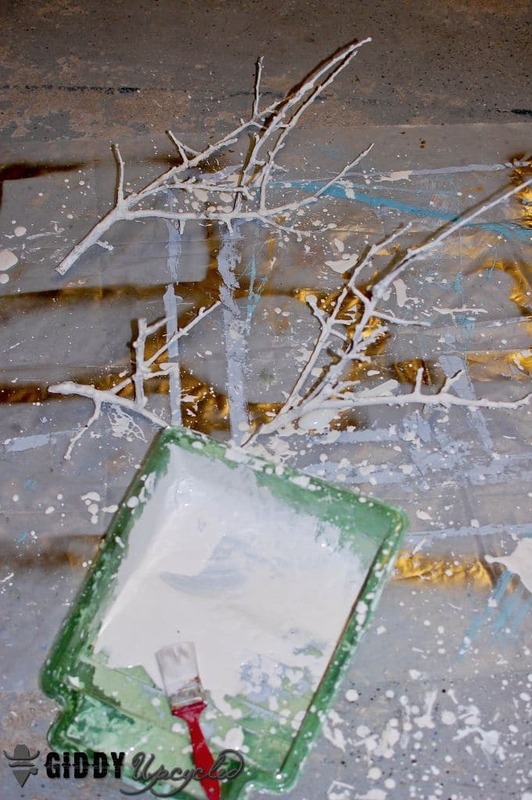 You want a consistency sort of like pudding – I used about 1 cup Plaster of Paris to 1 cup water, and then added a bit more water as needed until the consistency was right. 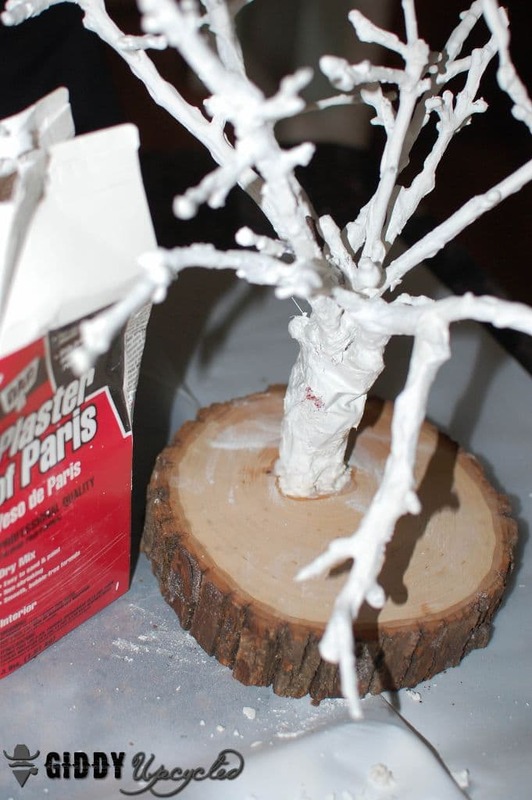 Take a paint brush and paint the plaster onto the twigs – this will help provide stability and support to the branches. 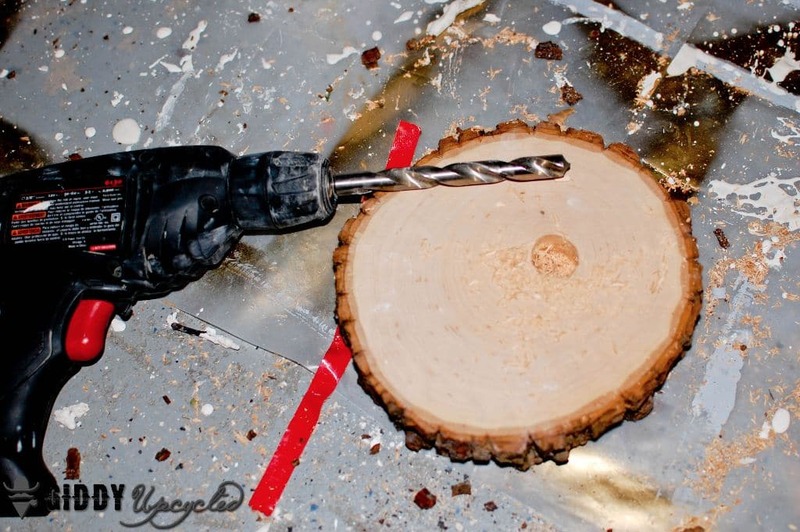 Use your widest drill bit to drill a hole into your wood slice base. If you need your hole to be bigger than the drill bit, just move the drill around in small circles to widen the circumference of your opening. 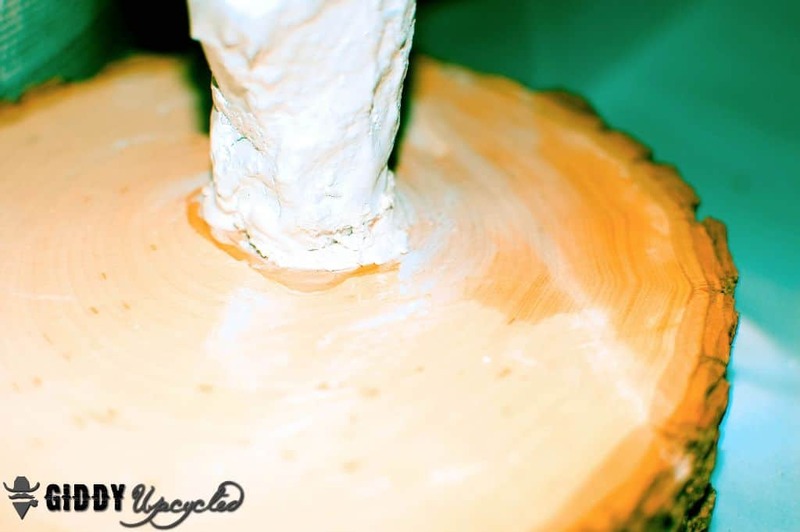 Mix about 2-3 tablespoons of plaster of paris and put it into the drilled opening, and put your branch base into the wood slice. 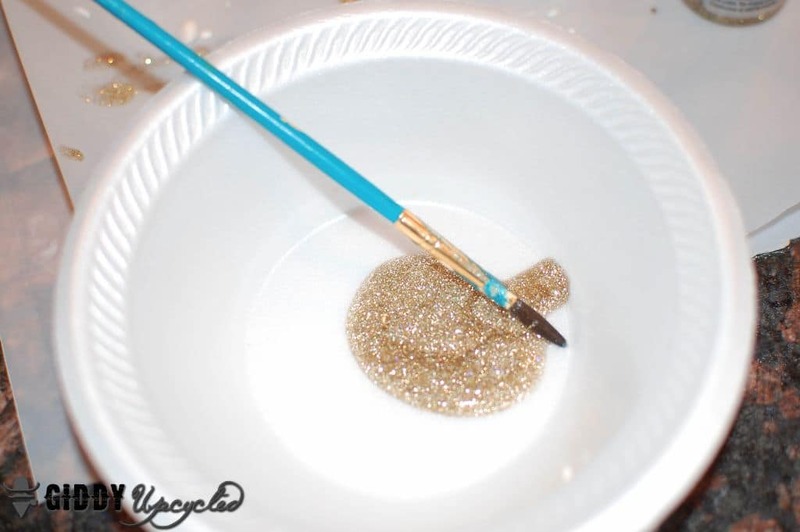 Take some glitter paint or other accent color paint and have fun with the branches or the base – go crazy! 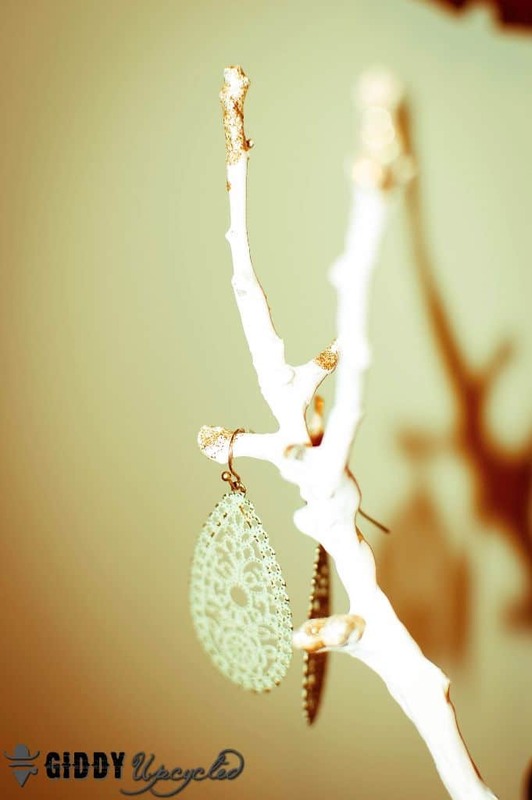 I added gold glitter paint to the very tips of all the branches. 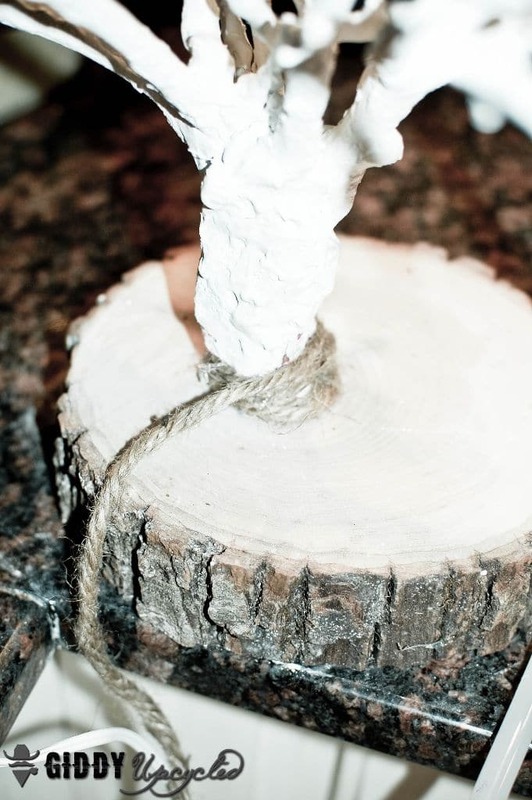 Hot glue the jute rope around the base of the twigs, gluing as you go – go as high as you want, making sure you cover any of the tape (if used). 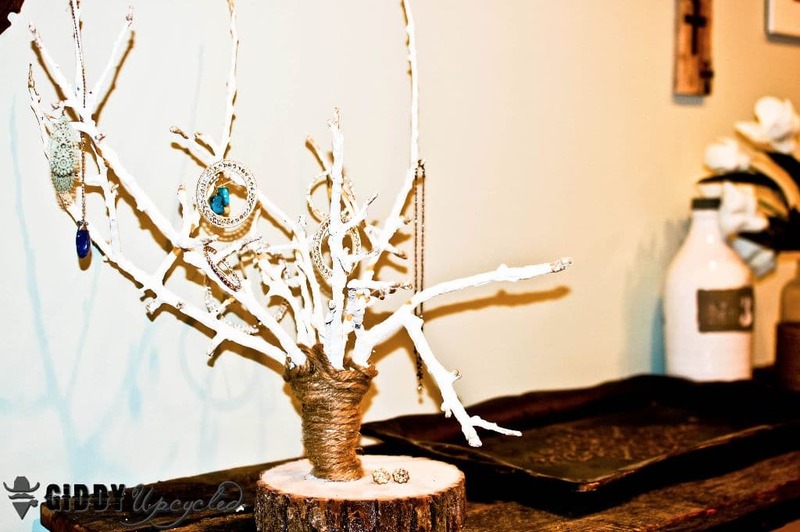 Decorate with some GORGEOUS Bling from The Buckle Boutique and your jewelry box – and enjoy!! Or, for the more sentimental type – hang up some ornament frames with pictures inside – and make a Family “TREE”! 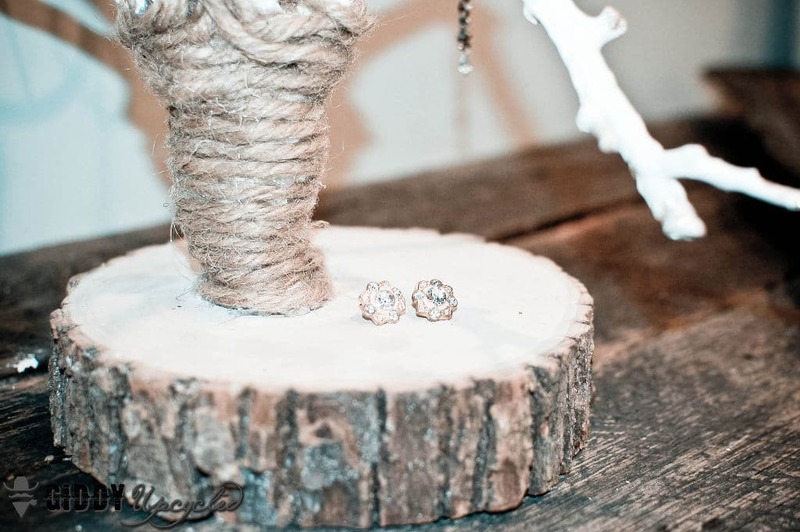 Krista Winters – eat, knit & d.i.y. This was quite innovative. Excellent job! Could be a fun wedding centerpiece on the guese sign-in table. 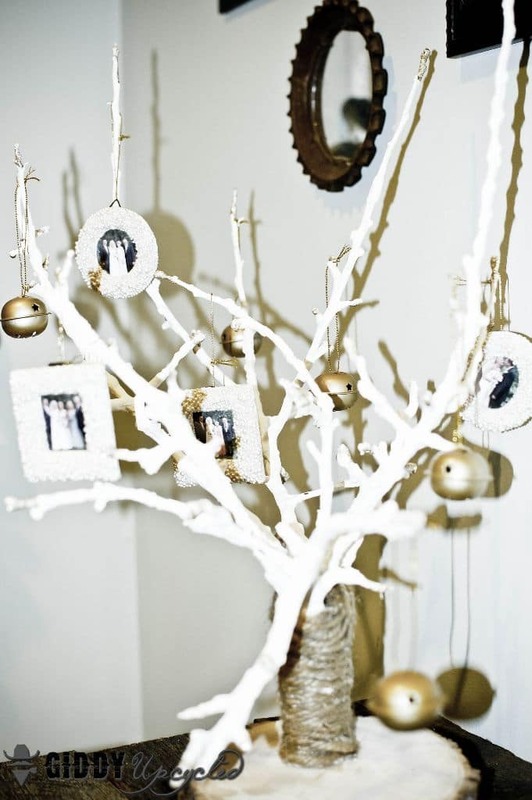 I love the idea of the family tree. This is a very creative gift. 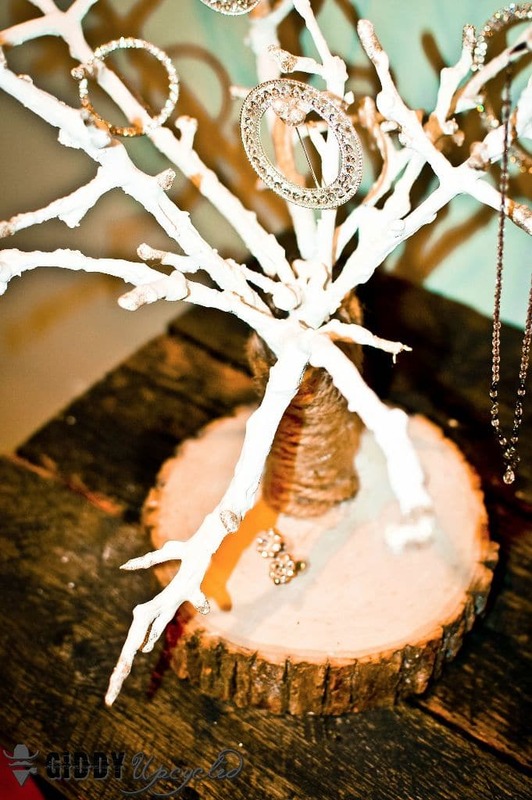 Love the gold glitter accents on this tree. 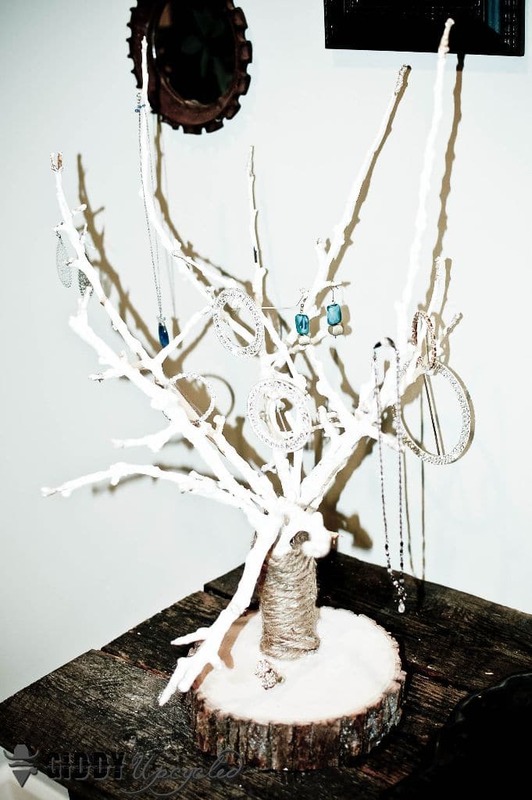 Your jewelry tree is so creative, love it.